Well that didn&apos;t take long. 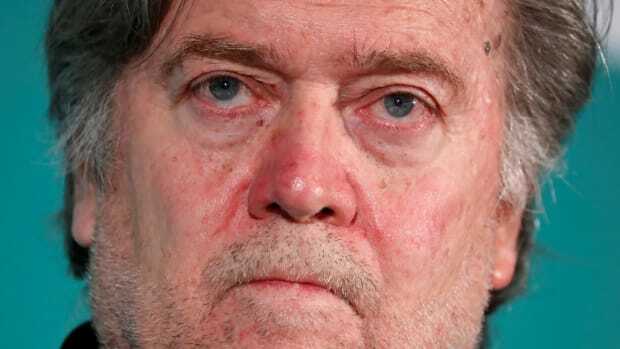 Fresh from his embarrassing removal from Trump&apos;s reality show of a presidential administration, Steve Bannon is back doing what he does best: defending the indefensible and promoting intellectual white nationalism. 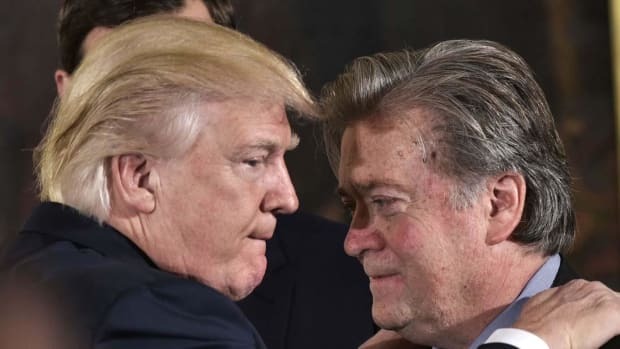 In an excerpt of a “60 Minutes” interview released today, Bannon told CBS’s Charlie Rose that he believes Trump is not going far enough to ban illegal immigration, slammed the Catholic Church for wanting to protect immigrant children because they have "an economic interest in unlimited immigration", and stated that Trump did nothing wrong in the wake of the Neo Nazi rally in Charlottesville. “What he was trying to say is that people that support the monument staying there peacefully and people that oppose that, that’s the normal course of First Amendment,” said Bannon. 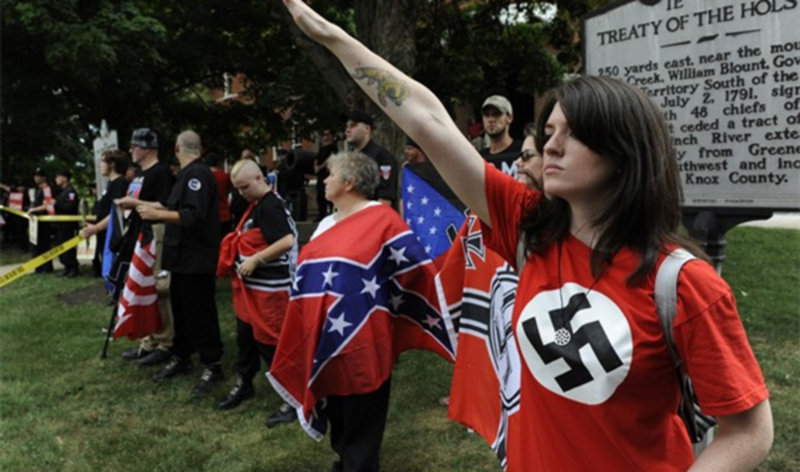 To recap, the people there to "support the monument" marched with torch holding crowds wearing swastikas shouting "the Jews will not replace us". 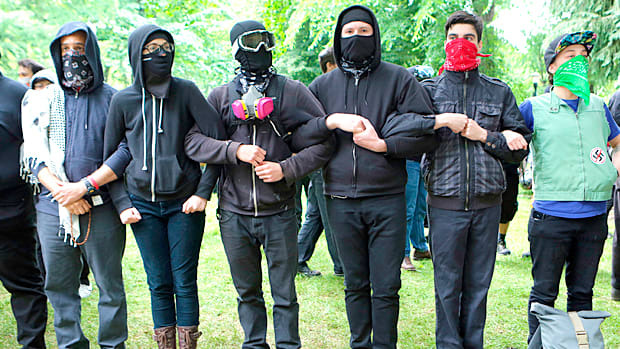 "Peaceful" supporters of the monument. Furthermore, Trump was not simply saying "where does this end? ", he was condemning the "hate, bigotry and violence on many sides". 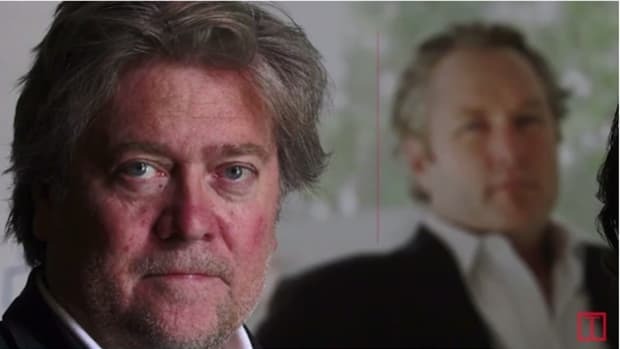 Bannon&apos;s attempt to white wash (!) Trump&apos;s comments is a devious little trick he and other Alt-Right ideologues have perfected. Prominent Alt-Right &apos;thinkers&apos; have mastered the art of appearing intellectual by creating a veneer of respectability. They denounce fascism and racism in public, but subtly promote it through language that appeals to fascists and racists. One only has to take a look at the repulsive comments section on Breitbart.com to see what type of people are attracted to Alt-Right philosophy. Bannon is well aware of the people who vote for Trump -- the white racists who read his site and came out in droves to propel Trump into the White House last year. He also knows that he cannot speak directly to them, preferring dog-whistle politics used by generations of Republicans and fascists before him to great effect. 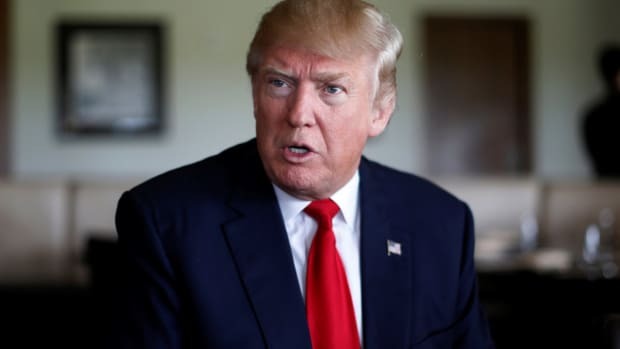 Trump screwed up by directly speaking to white nationalists in the wake of Charlottesville, and then had to walk his comments back after the public castrated him for it (he then reverted back to the "many sides" comments only days later). Bannon&apos;s latest comments are merely an attempt to refine Trump&apos;s amateurish response to Charlottesville, veiling them behind a ridiculous rationale that only Sean Hannity viewers would believe. Trump did not want to offend his white nationalist base in the wake of Charlottesville, because it is the only bastion of support he has left. 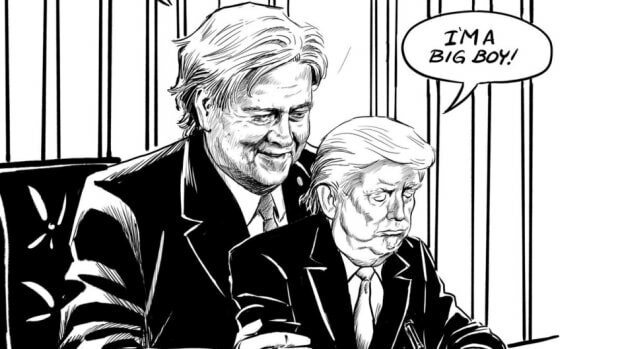 Bannon is now trying to clean up the mess. 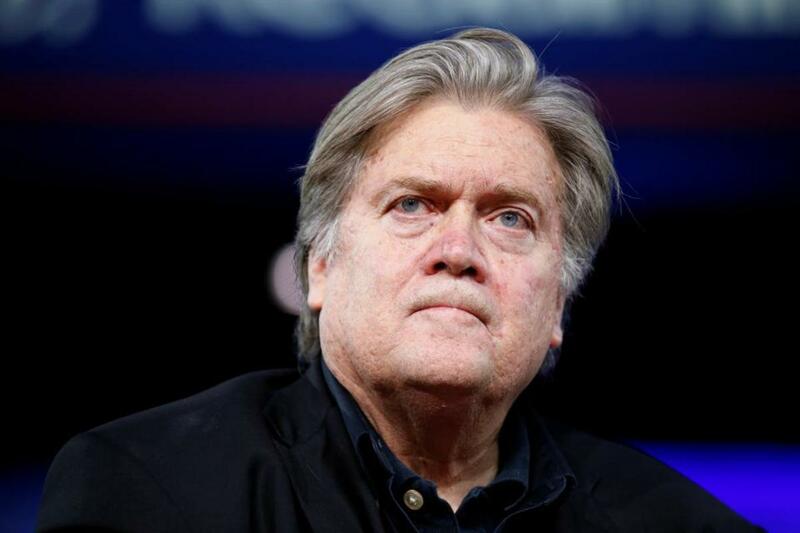 Now out of the White House, Bannon has a little more free reign in crafting a strategy to further his agenda and is busy crafting a fascist-lite message that won&apos;t condemn him and his movement to the fringes of US politics. Every sane person in America breathed a sigh of relief after Bannon left the White House last month, but sadly the Breitbart editor remains as dangerous as ever.